The emergence of great deal of e-commerce hosting companies has indeed created a state of quandary for a majority of e-merchants in terms of choosing the right one. There are so many companies in this segment that even a seasoned service seeker could get lost in no time. Furthermore, each single company asserts on providing ‘’best quality services’’ which then again renders most people perplexed. So how is it you can find an ideal company that provides premium quality ecommerce hosting services for online stores, without requiring you to shell out a hefty amount of money? The following section is a checklist of all the factors that you need to take under due consideration, before you set your foot in the market. Let’s have a look. You should comprehend the fact that your e-commerce business will be on the rise and over time you will need to increase the inventory and the capability of handling huge volumes of orders. In these situations your hosting service provider must be competent enough of imparting scalability and flexibility, your website requires to operate in a seamless manner even when traffic volumes is on the high rise. Security is another important concern that you need to lay your focus on, in order to ensure the right selection of a hosting provider for your e-commerce website. You see, e-commerce business thrives only when customers are completely confident of transacting securely from your website. Therefore, make sure that security is notched up and the hosting provider takes all possible measure to ensure that the server is and will be free of any security or malware attack. 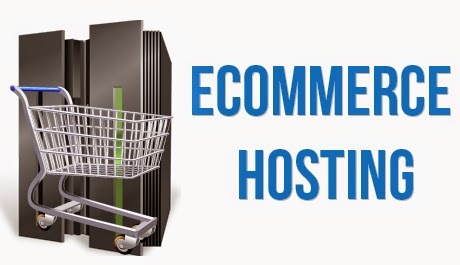 It is a wise decision to invest in an automated system for e-commerce hosting. These systems save you a whole lot of time and pose less operational hassles that prompt you to focus on other aspects of business development. Ensure to procure services of a company that provides automated hosting solutions. Apart from laying your focus on above mentioned points on choosing the right e-commerce host, it is also important to evaluate all the prerequisites of your online website before making a decision. If you need some more help in this context, place your inputs in the comment section below.